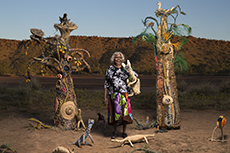 The APY Art Centre Collective is a group of 10 Indigenous owned and governed enterprises. Located on the APY Lands we work with a united vision and voice on strategic business initiatives and collaborative artistic projects. 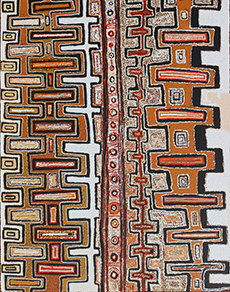 The APY Gallery showcases artists working across a wide range of mediums from painting, traditional punu (wood) carving, weaving, textiles, new media and digital photography. These emerging young artists have watched, listened and learned from their grandparents, the senior men and women of the APY Lands, it is now the young peoples turn to find new ways of sharing these traditions and stories.